Your roof is your home’s champion. It protects you from inclement weather and the harsh elements. This means your roof can take quite the beating. Over time, roofs can deteriorate and be costly to fix or replace. Even with the best possible care, your roof is eventually going to fail. When it does, knowing whether to repair or replace your roofing is crucial. Always enlist the help of an experienced roofing contractor near Redmond when the time comes. When it starts to rain heavily, you should check your ceilings for signs of leaks. Walk around your home and check for water stains or water seeping out of the drywall or plaster. If you have chimney, inspect its bricks and mortar for excessive moisture. Also, climb into your attic space and check ceiling joists for rot and mold growth, and wet insulation—these usually signal water intrusion. If your roof starts to leak, contact a professional who specializes in roof repair in Redmond immediately. If you have a working knowledge of roofs and roofing systems, grab a ladder and perform a cursory inspection outside to assess any damages. Come up with diagnostic checklist to help you perform your inspection. Do you see sagging anywhere? 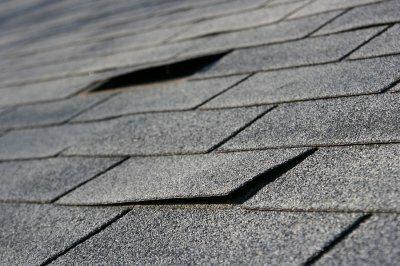 Are any of your roof’s shingles missing or visibly damaged? Is there buildup in your gutter system? Are there large branches causing problems? If your house has a chimney, is the flashing around the stack loose or damaged? Knowing what roofing materials were used to build your roof can help you to determine what your roof’s lifespan should be, which in turn can guide your decision on whether or not you need a roof replacement. For example, composite shingles have a lifespan of about 20 years, whereas cedar shingles can last for over 50 years. If your composite roof is 15 years old and has started leaking, you may have to replace it. If your roof is young, has been well maintained, and should still be good for many more years, it makes sense for you to repair isolated leaks in your roof instead of replacing it entirely. Your roofing specialist can help you make the right choice.